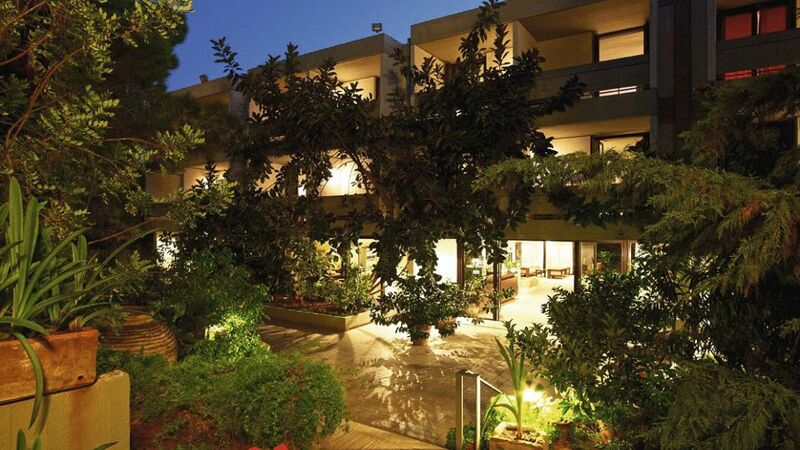 Nestled on the idyllic coast of Kefalonia in the popular town of Lassi is White Rocks Hotel. 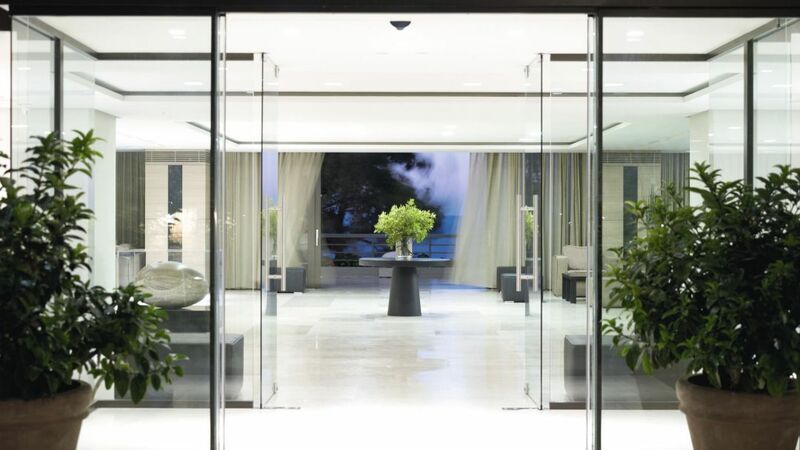 With spectacular views of the Ionian Sea and surrounded by fragrant pine forests, it is the ideal place to enjoy your unforgettable Greek getaway. This luxury hotel is home to two glittering swimming pools and a large sun terrace, perfect for relaxing days under the warm sun. Feel the sand between your toes on the hotel's private stretch of beach while thrill-seekers can head to the Platis Gialos beach for exhilarating water sports and a PADI qualified dive centre. 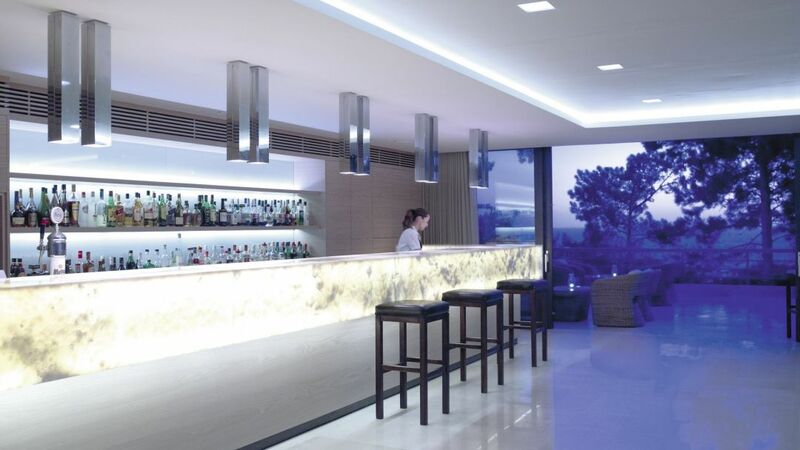 Dine in style at a variety of on-site bars and restaurants including The Dining Room serving delicious buffet dishes in an open plan kitchen, or cool off with a signature cocktail at the Vrahinari Beach Bar. 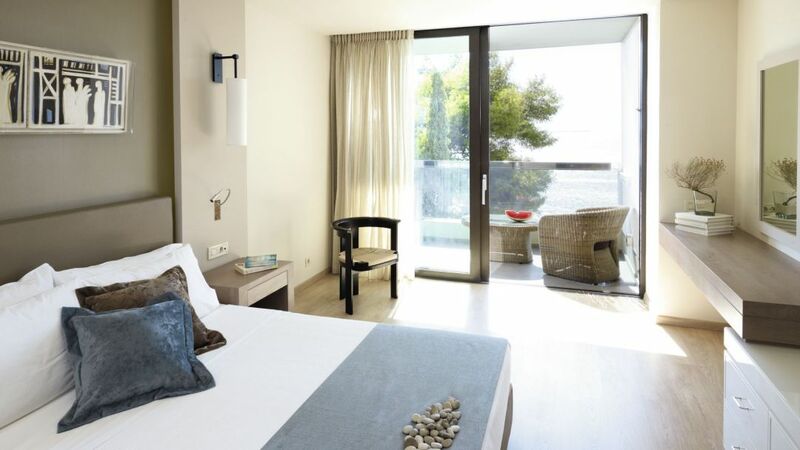 For a luxury holiday in Kefalonia stay at the White Rocks Hotel. Guests staying at White Rocks Hotel can enjoy the spectacular on-site facilities. Hotel highlights include: two restaurants, three bars, private beach, outdoor swimming pool (with sun loungers and umbrellas), gardens, playground, PADI dive centre, and water sports centre. The 24-hour reception offers: concierge service, luggage storage, laundry and dry cleaning, massage service, car parking, library, currency exchange, mini market, and jewellery gift shop. White Rocks Hotel features 162 guest rooms located in the main hotel building and singular bungalows across the resort. As standard, all rooms feature en-suite bathroom (with shower, magnifying mirror and toiletries), furnished balcony or terrace (with veranda or outdoor garden area), flat screen TV, minibar (restocked regularly), safe, telephone, and complimentary Wi-Fi. The Dining Room is the hotel's main restaurant serving buffet dishes for breakfast and dinner. Sample modern Mediterranean cuisine and watch the chefs cook in the open plan kitchen. 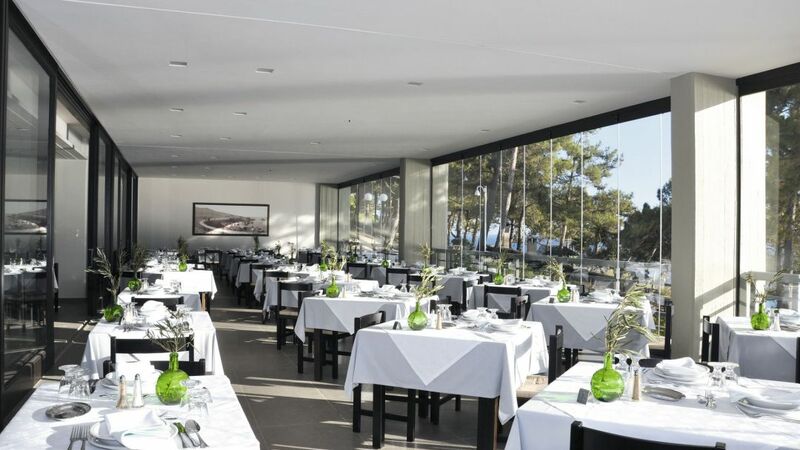 Dine on delicious a la carte seafood dishes at The Seafront restaurant with spectacular ocean views. Take a break from the sun and relax at the Vrahinari Beach Bar or watch the sunset from the Corner Clifftop Bar with breathtaking views of the Platis Gialos beach. The Lobby Bar is a laid-back venue, open throughout the day serving fresh coffee, premium drinks and signature cocktails.